The Screaming Penny: AWESOME organic maple syrup deal! AWESOME organic maple syrup deal! 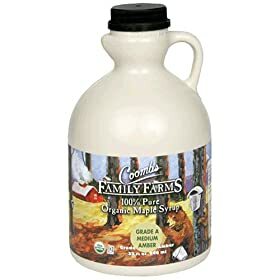 Right now on amazon.com you can get Coombs Family Farms 100% Pure Organic Maple Syrup Grade A Medium Amber, 32 Ounce Jug for only $11.75 with FREE shipping! This is a GREAT deal for real honest-to-goodness maple syrup! 3) Make sure you enter the promo code "BASCOM35" at checkout and you'll get the 32 oz. of syrup for $11.75. I used my reward giftcards for amazon from Swagbucks and only paid $1.75. Not a member of swagbucks? Join! You've got nothing to lose!